Includes car lift, car wash, petrol pumps, car lift and elevator. There are plenty of parking spots for all your vehicles in this Molto 7 Storey Parking Garage. This deluxe playset features a car lift, elevator, petrol pumps and a car wash. 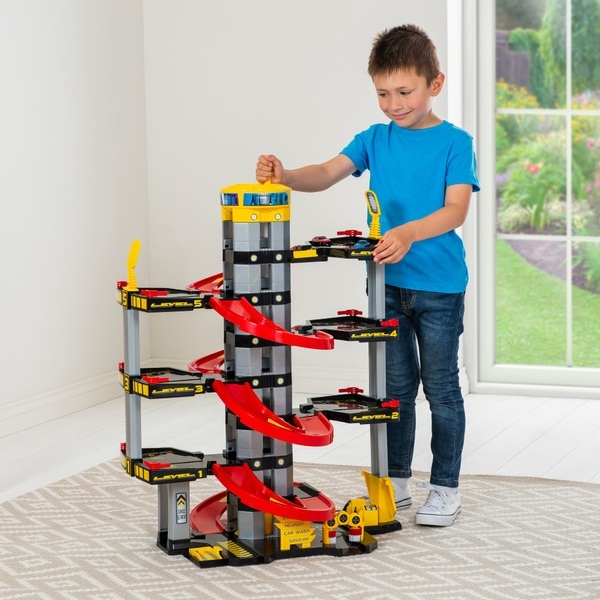 Your child will have hours of fun with Molto 7 Storey Parking Garage. 2 cars included.